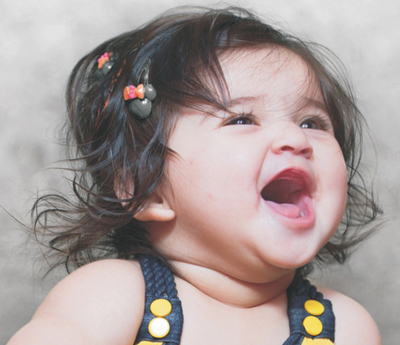 With amazing changes in their expressions and movements, babies are fun to click. Those impossible to reproduce innocent moments look even better when clicked through the lens of highly professional photographers. Once again, Hocus Pocus in association with Mother's Pride Baby Show, brings to you “The Most Photogenic Baby Contest" and here's a chance for you to register your child for the same. Get a professional photo-shoot done for your little one and save these precious moments forever. A mother holds her child's hand for a short while, but his heart forever! The bond between a mother and her baby is the purest form of love, unconditional and special. To cherish this eternal bond its beauty, charm and innocence, our world-class photographers present all the mothers some best shots with the reflection of their younger selves. The child should be in the age group of 6 months to 3 years. The child must be registered for the Mother's Pride Baby Show, June 2019 or have been admitted to Mother's Pride School. Register your child (Rs. 500* per picture entry)for the contest to be held on 20th June 2019. Visit: hocuspocus.in or www.facebook.com/hocuspocusindia and register online. Second prize will be announces of and only if there are more than 20 registarions. The Registration fee is per picture entry. Note: Read the terms and conditions below and click submit if you agree to them. The Mega Prize winner from each branch will get Hocus Pocus Product Package worth '10,000/- which includes a Wall of Frames, A Photo Wall Clock and a high resolution soft copy of the photo shoot. The Mega Prize winner will get Hocus Pocus Product Package worth '8,000/- which includes Wall of Frames, a Photo Wall Clock and a high resolution soft copy of the photo shoot. In case, a branch winner is selected then it will be a common winner from both the categories. However for Mega Prize contest, one finalist will be selected from each of the categories of The Baby Photogenic and only one finalist from both categories of Mom & Me. The ultimate decision of the results will be in the hands of Hocus Pocus, while Mother's Pride shall not be obligated in case of any contrariety.